Today’s article is one of those “inspired” write-ups; that is, we are going to be talking about something that is inspired by something I heard in the piece, not necessarily about the piece itself. In my music theory classes, I like to go over the mechanics of the piano, and how its predecessor was the harpsichord. Now there are quite a few tracks that use the harpsichord, especially in whimsical video game music, including the one of interest for today, “Dance of the Daring”. 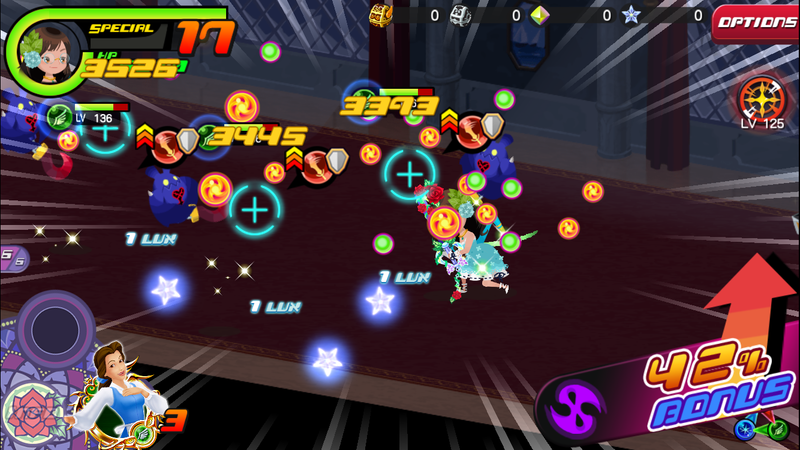 “Dance of the Daring” first appeared in Kingdom Hearts II, and is used now as the battle music in Beast’s Castle in Kingdom Hearts Union Cross. Now let’s talk about the harpsichord. It has a quite small part in this track, and is played as an unusually slow rhythm—most harpsichord music is fairly fast-paced, or at least written with a fast rhythm, simply because the notes cannot be sustained for very long and therefore would need to be played often to be heard. The harpsichord was the direct predecessor of the piano. In fact, the piano got its name from the striking difference it has from the harpsichord. While both are considered keyboard instruments that are played in very similar ways, they have very different inner mechanics. The harpsichord produces sound by plucking the inner strings when a key is pressed. Because the string is being plucked, it does not matter how you press the key: whether you press it slowly or quickly, the volume and tone will be exactly the same. The piano’s full name is actually pianoforte, piano meaning “soft” or “quiet” and forte meaning “loud”. The piano’s inner mechanism has hammers which strike the strings when a key is pressed. The hammers respond to the velocity at which the key is pressed, so if the player presses the key with force, the hammer strikes the string quickly, producing a loud sound. And in the same way, if the player presses the key gently, the hammer strikes the string more slowly and produces a quiet sound. So it is named after its ability to produce all kinds of different dynamics. The invention of the piano was absolutely revolutionary, and got composers super excited for all of the possibilities. I wanted the focus of this article to be on the harpsichord though, for personal reasons. I used to absolutely hate the harpsichord, because the only context in which I heard the instrument was in Baroque music that would play on the classical station on my mom’s radio often. To this day I am still not much of a fan of Baroque music, but I certainly have made amends with the harpsichord. It is mostly because this lovely instrument has been used in so many video game tracks that is has finally won a special place in my heart.